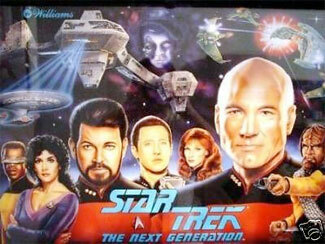 Check out these Star Trek Next Generation Pinball Machine For Sale. Make it so number 1! You will also find parts and accessories for current owners including the promos, plastics, rubber ring kits, decals, manuals, translites, flyers, sling shots, and speaker cutouts. This game was part of Williams SuperPin line of widebody games along with Indiana Jones: The Pinball Adventure. 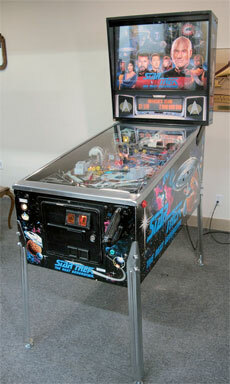 "It's Pinball at Warp Factor 9!"